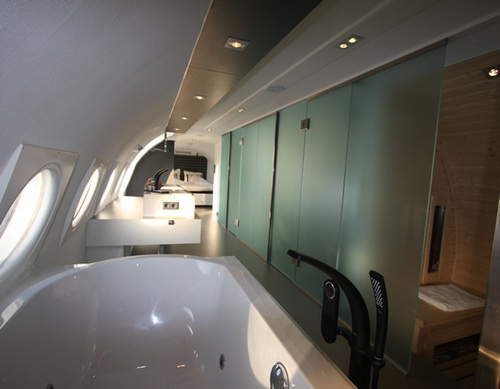 If you’re thinking to yourself, “that’s sort of a small window for a luxury hotel suite,” well, you’re right. 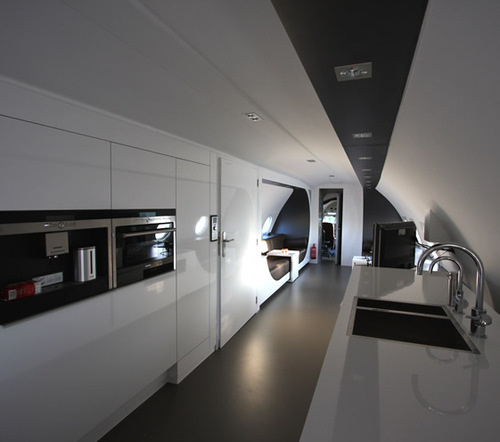 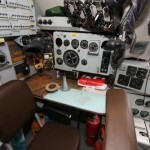 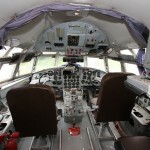 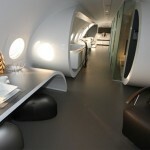 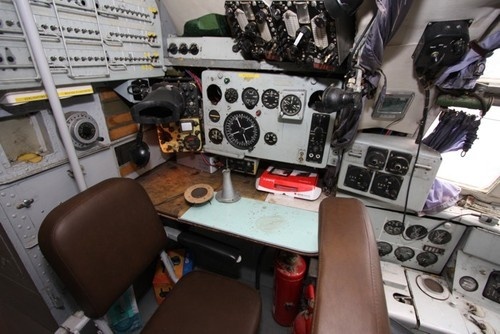 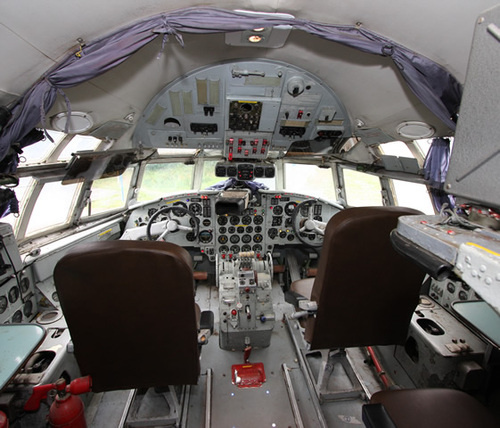 But it’s only because this room occupies the entirety of a repurposed Cold War-era East German aircraft. 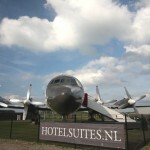 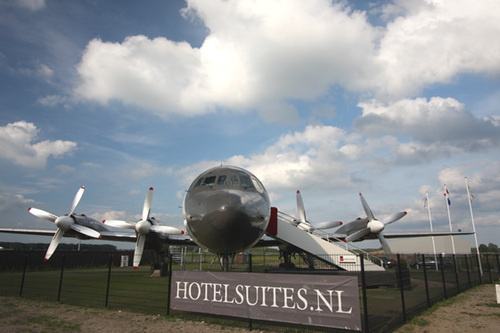 OK, the view isn’t anything special: the plane stays grounded outside the Teuge airport in the Netherlands. 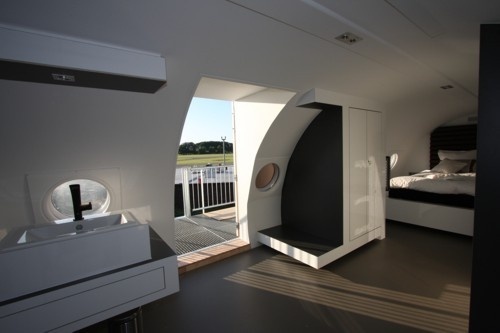 But the room itself, dubbed the Vliegtuigsuite, is spectacular, including three flat screen TVs, a Blu-ray player, a sauna, and a jacuzzi. 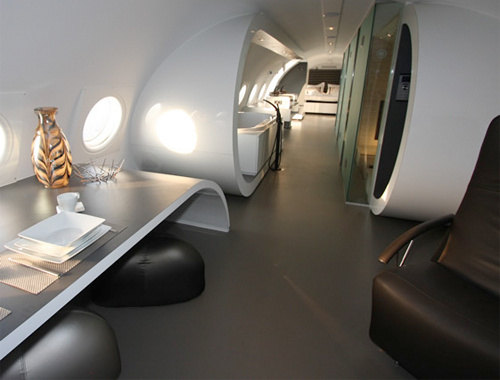 Guests have access to the entire plane, from your king-size bed in the back all the way up to the cockpit. 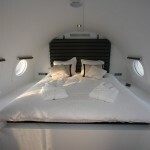 My Dutch isn’t quite what it should be, but from the looks of things a night in the aircraft will put you back €350. 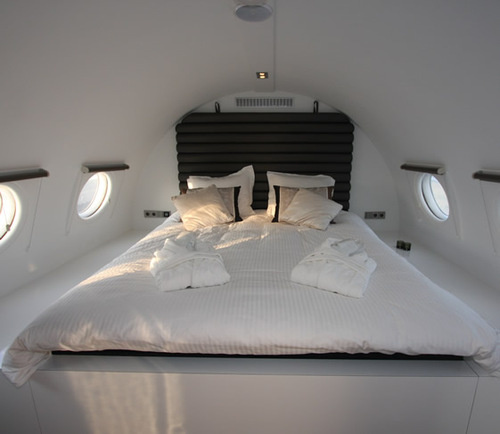 A bit steep, sure, but totally worth it if you’ve always wanted to get it on in an airplane without worrying about a foot ending up in that weird blue toiletjuice.